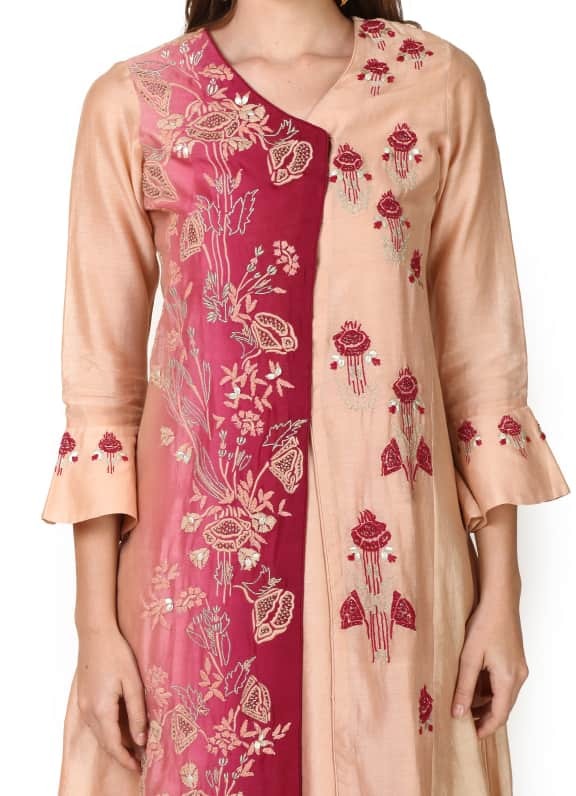 This set features a beige and wine ombre overlap kurta in chanderi base with embroidery. It is paired with a matching skirt. 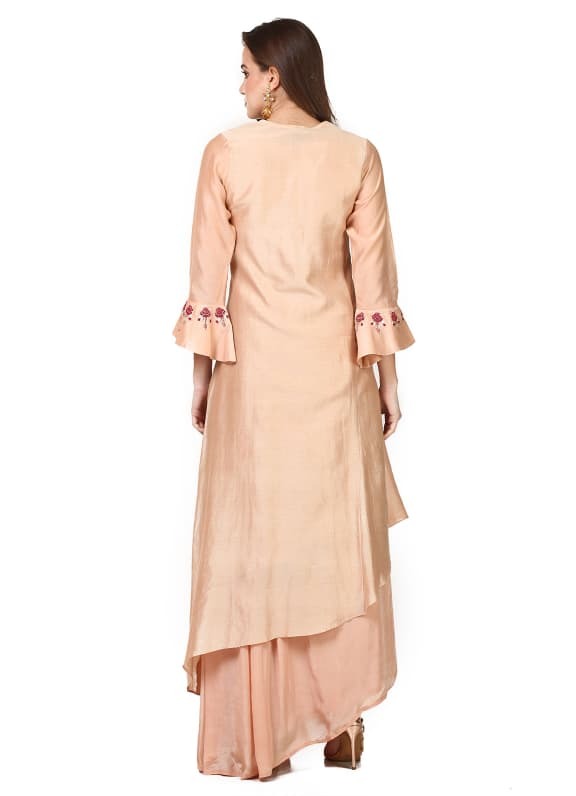 Keep it casual yet trendy with this kurta set and style your look with a pair of Micare earrings.